* This article was originally published by Fair Observer. María Fernanda Tapia Cortés | Mexico starts 2017 with two trending topics: the announcement of new gasoline prices to the market, and multiple protests inspired by the adjustment period in the form of a 20% price hike. But while Mexicans are filled with outrage, moguls around the world anticipate the potential earnings that this represents. The big question is: Who will the energy reform benefit? 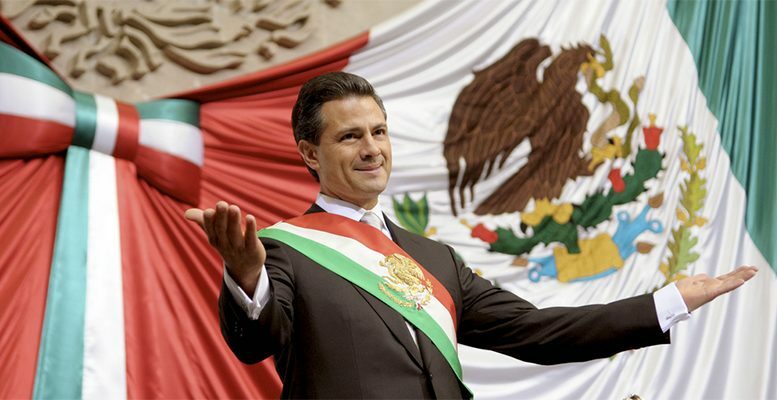 On December 20, 2013, President Enrique Peña Nieto approved the energy reform that aimed to solve a series of conflicts over fuel that Mexicans had been suffering from for decades, including the bankruptcy of the national oil company, Pemex. Since 1938, when President Lázaro Cárdenas nationalized the oil industry, Pemex had held the monopoly over the resource, bringing in a hefty proportion of the national income. However, poor management, high spending and corruption prevented necessary investment for decades. Lacking technology and infrastructure, the company became less and less productive, to the point that it could no longer manage the abundant Mexican oil nor cover the country’s demand. In just 11 years, Pemex went from being the third largest gas producer in the world to being 15th in 2015. By then, 62% of the gasoline it sold had to be imported from eight different countries: the United States, the Netherlands, Spain, India, the Bahamas, Antilles, France, and Trinidad and Tobago. This caused earnings to decrease and spending to grow even more, perpetuating a vicious cycle. Over the years, Mexican pockets were protected from feeling the effects of Pemex’s decline, as the government controlled gas prices and kept them artificially low. The so-called Special Tax On Products And Services (IEPS) took the US Gulf coast as a reference for prices and adjusted accordingly. When these were higher than the official cost of oil in Mexico, taxes over fuel sales could be levied. But when they were lower (which is what usually happened), it had a negative rate that needed to be subsidized through public financing. The system costs grew along with oil prices and there was a point, in 2008, when energy subsidies accounted for more than all the health spending and doubled the budget for the government program to combat poverty, dubbed Oportunidades. This was unacceptable in a country with 48 million poor people, especially because the main benefits were received by the middle and upper class. For every 12 pesos that someone on a low-income used of this support, someone in a higher tax bracket would get 36, due to the number of cars he or she owned. That was the time when the gasolinazos started—monthly increases in the official price of gasoline designed to equate and eventually overcome the one in the US Gulf as the treasury sought to recover the incomes of a positive IEPS. The measures were in place from 2008 until 2014. By then, gasoline prices had almost doubled. During that time, Pemex remained the only company allowed to import and sell gasoline, so Mexicans had no choice but to buy at whatever price or quality the company offered. What the 2014 energy reform did, among other things, was open the field for the exploitation, transformation and commerce of oil-based fuels. This would supposedly allow better resource utilization and commercial growth through shared technology, private investment and competition. However, the transition process into this scheme has been slow and harsh, due to scheduling changes and steep rises in the national costs of gasoline as they were brought in line with the international market. In 2015, the government applied a single annual rise of 1.8% over the fuel prices instead of monthly increases, and in 2016 the formula to determine that IEPS changed, turning it into a fixed-rate cost. This was included in a range of minimum and maximum prices, calculated on the basis of international conditions with a 3% price difference at the beginning of the year. If the real price exceeded that maximum ban, citizens could claim the tax back—a non-feasible option for the 60% of Mexicans living on informal commerce. However, although the price per barrel reached its lowest in decades, gasoline prices did not fall. This is partly explained by the strengthening of the US dollar, which increased by 79% in relation to the peso in only 12 months. Since barrels are bought in dollars, the difference was offset by the exchange rate. In addition, until the middle of the year, Pemex continued to hold the monopoly on importing or refining gasoline, so there wasn’t a real competition among gas stations run by various companies that were starting to appear in the northern states, as they all sold the same product at nearly the same price. The increase between 14% and 20% that took place on the first day of 2017—the highest in 18 years—is the result of adding logistic costs to the maximum range. This also explains why, for the first time in decades, there will not be a standard price for the whole country, but that it would vary from region to region according to transportation logistics and quality standards set by local environmental policy. It is only a temporal measure. From February onward, costs will change every day until they are released in each state. By the end of the year, prices will only be determined by that invisible hand Adam Smith talked about: the market. The energy reform is a great incentive for foreign companies to invest in the country. Today, 22 companies have permission to import diesel and gasoline, and it is expected that there will be 15 providers offering their services in 2018, including the Mexican companies Oxxo and Hidrosina, and the American Gulf and Texaco. This is also a powerful reason for the United States to strengthen its relationship with Mexico, despite President-Elect Donald Trump’s threats. His own secretary of state and current CEO of ExxonMobil, Rex Tillerson, agrees—his eyes have been set on the potential benefits of doing business with the southern neighbor. For Pemex, on the other hand, this means difficulties. Competition against other gas producers and their cutting-edge technology will be fierce—a hard blow for a company that is currently in free fall. Even with the new private financement scheme and attempts to compensate for decades of neglect with modernization projects on four of the most important refineries in Mexico, it might not suffice to face companies like the energy giant Gulf. Moreover, the necessary pauses in construction caused by a lack of supplies have led to a dramatic decrease in production over recent years. With development projects expected to last until 2019 and a growing debt that already amounts to $100 billion, the once-great national company will have a hard time catching up. The Mexican government aims to compensate the gap from Pemex contributions with a gasoline tax and the new companies arriving in the country. Without a subsidy to pay, there will be about 400 billion extra pesos to invest in social programs. The question is whether this money will be correctly managed or if it will be lost on salary bonuses, debt payments and corruption that costs the country about 9% of its gross domestic product (GDP) every year. On the other hand, with more options on the market, there will not only be a wider range of prices, but also of quality. This is important because the better the quality of fuel, the less polluting it is. In places such as Mexico City, air pollution levels are so high that special regulations for the use of transport had to be created. New rules regarding fuel will finally be introduced, although prices might be slightly higher that in other places. However, many Mexican consumers prefer low costs, even if it means giving up better quality. The 20% increase in prices this January, even if temporary, will have a direct impact on their finances. If the cost of fuel rises, transport fees will grow and inflation will peak. Banxico estimates suggest it will rise to 4.8%—the highest number in years. The truth is that even with the increase, Mexican gasoline is cheap compared to the rest of the world. In countries like Denmark, France and Canada, people pay up to two times more. The difference, however, relies on purchasing power. While a Canadian citizen earns an average of $7.18 dollars per hour, a Mexican worker with minimum wage gets only $1.01, which is not enough to cover the costs of a basic food basket. The working class will be the more damaged by this situation, as salaries will not have an equal increase to prices nor to the new costs of driving to work. Using public transport is not a good choice either. First of all, because with the increase in gas prices, fees will increase too and, second, because in most cities it is inefficient and cannot cover the population’s needs. Furthermore, even if prices are being determined by the market by the end of 2017, it will take at least three years to actually see the benefits, as new companies arrive and build the necessary infrastructure to operate. Meanwhile, the economy will be destabilized. There are many other problems related to these issues that will affect Mexicans in the short term. The president’s popularity hit rock bottom with several protests this week demanding prices to be brought down. There is a shortage of fuel in 13 states caused by the insufficient production, damaged ducts and panic shopping, and criminal groups reselling stolen gasoline on the black market at lower prices are gaining ground. Only time will tell if Mexico’s energy reform will bring more benefits than perils—and for whom.